In focus. A view of Tracy Davis’s new Urban Dwellings shop. 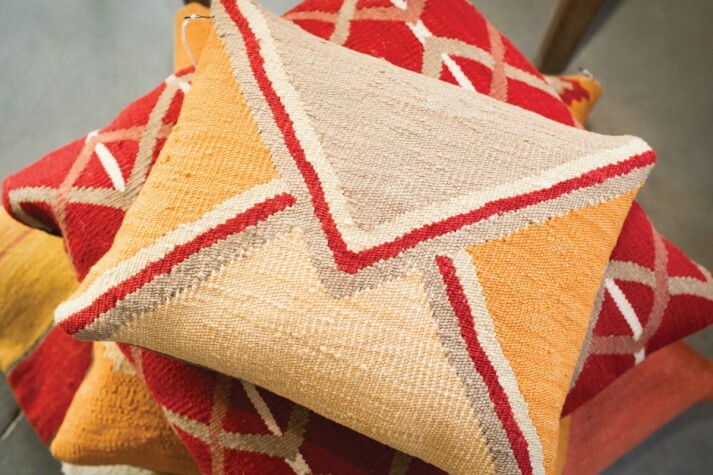 Gorgeous woven kilim pillows by Christian Rathbone, a designer who works with traditional weavers in Turkey. 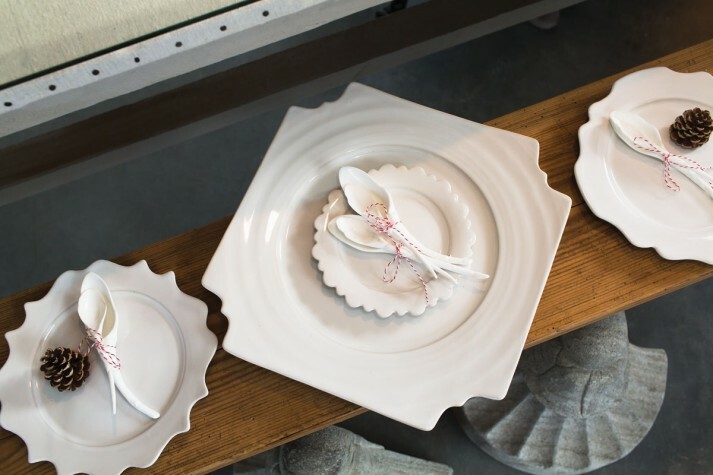 Tabletop accessories like these Simon Pearce plates are also part of the Urban Dwellings product mix. 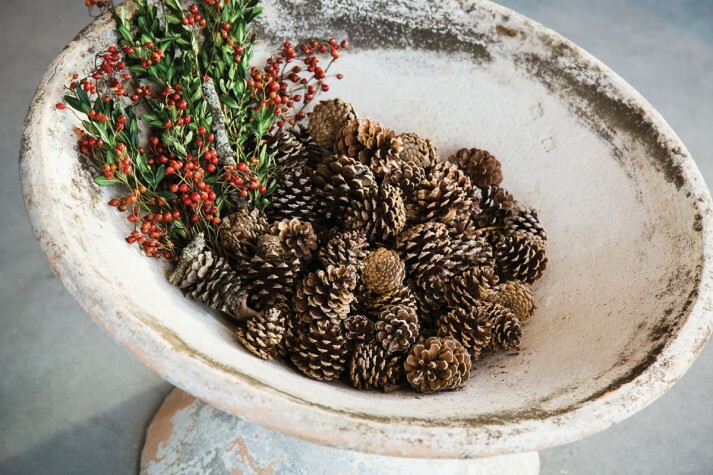 A French garden urn becomes the perfect spot for a display of pinecones. 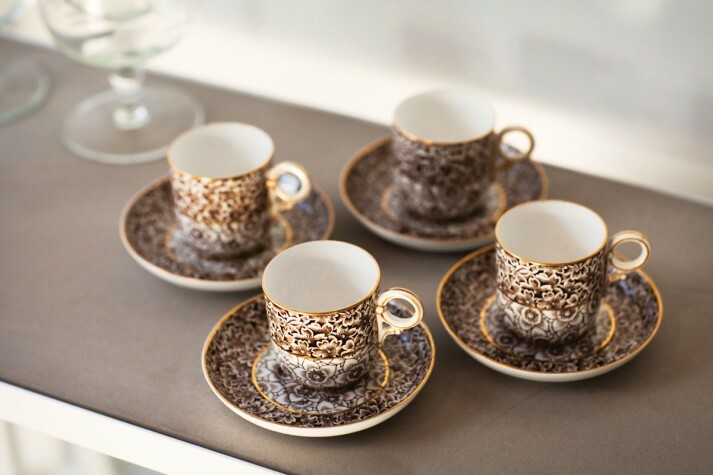 Vintage demitasse cups make a perfect gift for the espresso aficionado or bride-to-be. 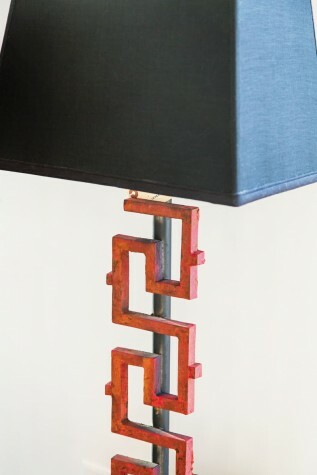 Start your design process around an interesting lamp like this Greek Key Lamp in a lovely shade of brick red. Creating a layered bed is easy with the selection of furniture and eye- catching pillows. 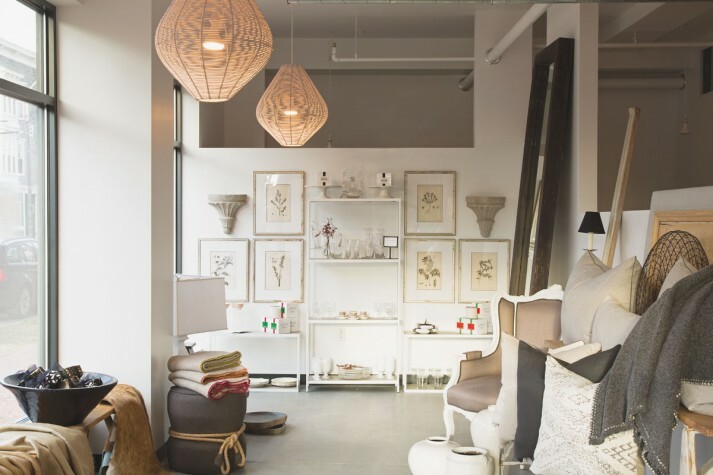 Quite simply, Urban Dwellings is one of most unique stores in Portland. What you’ll find: a curated collection of objects (handpicked by designer Tracy Davis) both old and new, from here and abroad. Go dwell. You’ll be glad you did. 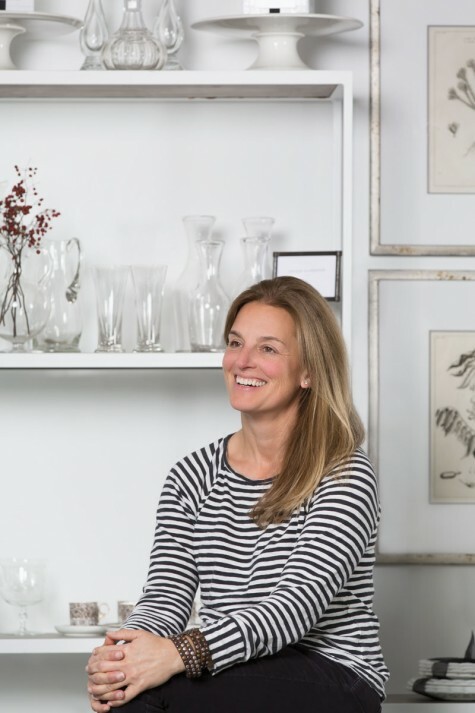 Tracy Davis, principal designer and founder of the interior architectural design firm Urban Dwellings, likes a good story—whether about a recent project or a beautiful object discovered on one of her many far-flung adventures. 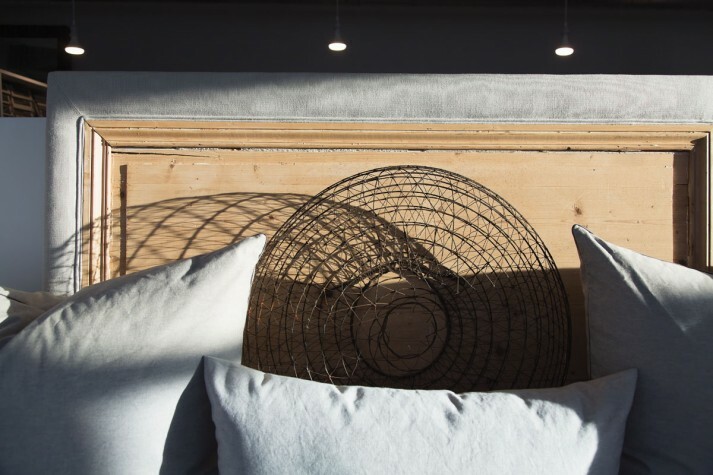 Her work is in part about storytelling, translating clients’ stories into luxurious, supremely livable spaces that showcase Davis’s clean, blended aesthetic. All of the objects at Urban Dwellings are discovered by Davis and her team. Some are culled from local artisans, while other pieces have traveled farther—like a set of gorgeous French turn- of-the-century chairs that were sourced abroad, then wonderfully restored and reupholstered by a local Maine craftsman. Gorgeous pillows come in loads of sizes and are so deliciously substantial, they could, as Davis suggests, eliminate the need for a headboard. There are stunning wool throw blankets, gorgeous decanters, garden urns, and much, much more. Davis is also interested in branching out to the community through a variety of partnerships and activities. During the holidays, for example, she partnered with neighbor Rosemont Market and Bakery. Customers who bought a platter (at a discount) could take it down the street to Rosemont to have it filled with delicious cheese, also at a discount. Other projects include a collaboration with GroMaine, a family-run farm in Aroostook County, to create beautiful, custom holiday wreaths. Urban Dwellings is a great introduction to Davis and her aesthetic. And for those looking to go a little bit deeper, Davis offers a whole menu of interior services. A little more shop talk. 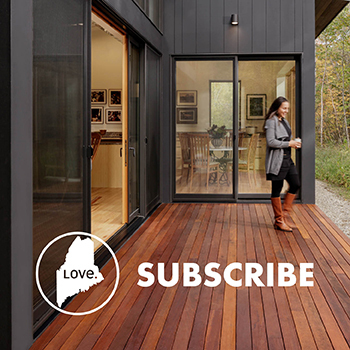 Keep the details simple, clean, and uncomplicated. Create visual flow and balance using the beauty of materials as the focus. 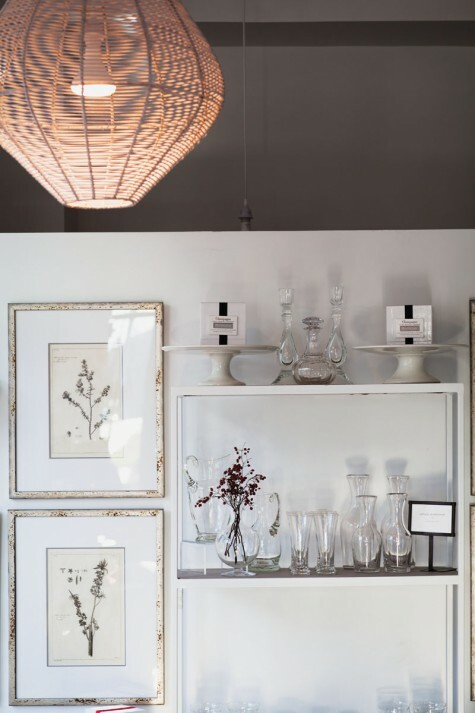 THREE TIPS ON DESIGNING A BEAUTIFUL SPACE? Spend time on the front-end design. Don’t rush through the design development process. DURING YOUR DOWN TIME YOU? I enjoy working on my historic home. It’s a labor of true love! Tracy Davis, at home in her new store. Always inspired by lighting, visitors will find plenty of unique options.